Though the brilliant concert pianist Nnenna Ogwo recently completed her doctoral studies in Musical Arts at SUNY Stony Brook, she is “going back to school in such a delightful way,” losing herself in the pages of Larousse Gastronomique. “I like to fancy myself a cook of sorts.” I can vouch for her intensely fruity mixed berry pie–scrumptious! The gracious host enjoys sharing good food and libation with friends. We met a couple of years ago over glasses of wine with friends at their ultra femme shop, Winkworth. When Nnenna spoke of her upcoming recital at the venerable Steinway Hall I promised to attend. She was kind enough, soon after, to allow me to use her recording of a Brahms’ sonata on my costume design reel. Now I am first to admit my knowledge of classical music is limited, but I was mind-blown by her immense talent, a talent nurtured carefully with intensive training. 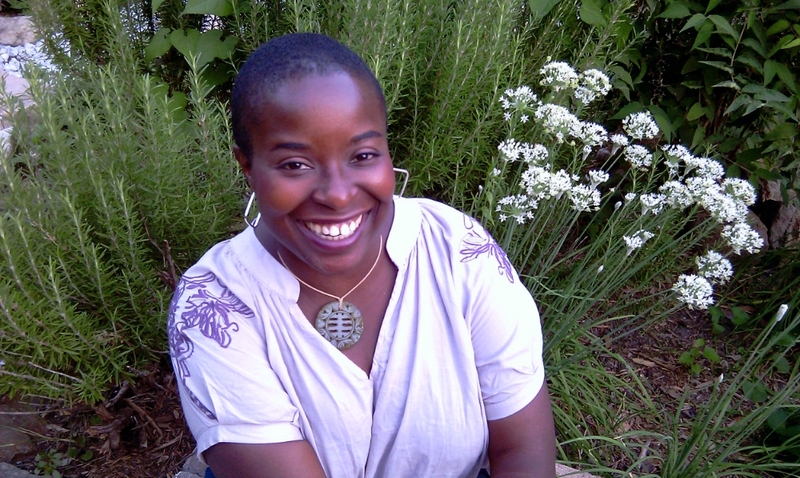 Born to a Jamaican mother and Nigerian father, Nnenna was raised just outside of Washington, DC. (We’ve discovered that our mothers live within blocks of each other.) She has played piano since the age of six. A student of Washington’s elite prep school, Holton-Arms, she also studied at the Peabody Conservatory Preparatory of Johns Hopkins University, graduating with honors in piano and composition. She matriculated at the prestigious Oberlin Conservatory, the oldest music conservatory in the United States, in pursuit of a baccalaureate degree in music. As a Fulbright scholar, she undertook graduate study at Hungary’s most celebrated conservatory, Ferenc Liszt Academy of Music in Budapest, Hungary and returned to the states in 1995. 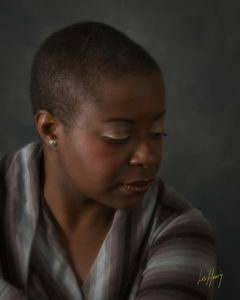 From her bio: Ms. Ogwo currently serves on the piano faculty at Third Street Music School in Manhattan. A gifted teacher, she also maintains a private studio in New York City and has successfully prepared students for admission to conservatory. She regularly works with composers, performing and premiering their work in order to help ensure the vitality of contemporary music. She is the founder of Working Projects, a works-in-progress venue for artists and musicians as well as the City Chamber Music Collective (formerly the Brooklyn Chamber Players), a group of international musicians committed to bringing exceptional chamber music to diverse audiences in non-traditional venues. Inspired by her childhood photograph, Nnenna has dubbed her classical music label the gratifyingly unexpected Cantankerous Afro and has recently released Issue One, solo piano music composed by Bach-Siloti, Beethoven, Debussy, Scriabin, and Piazzolla. Visit her re-launched website, Nnenna.net to join her mailing list, enjoy her listening library, and purchase her virtuosic music. Nnenna speaks with admiration of her mom, Carmen Hague, who as a single parent raised her and her brother Charles, with grace and strength. The women graciously welcomed me into the family home for dinner recently. The soft-spoken Ms. Carmen’s unlined skin suggests a woman much younger, only her silvery corona of glorious hair hints that she could be the mother of a thirty-something. Both women swear by the octogenarian esthetician (and “lovely pianist in her own right”) Simone France, whose “own ageless face is a testament to her work. She was quite the legend in the day and now only works by referral. After a couple of hours with her, you emerge with the perfect glowing skin you were born with.” Though there is a luxury skin care line, that bears her name, the true Simone France experience, Nnenna asserts, is with the woman herself (212-371-6458). Ms. Carmen makes the trek to New York for her “exquisite” facials. As her mom busily watered her charmingly sprawling garden, Nnenna and I enjoyed alfresco drinks, chatted and watched the cats devour their manna from kitty heaven, a fresh piece of fish. When in conversation, Nnenna. the feline fancier, in cat-like gesture, takes intermittent pauses to moisten her lips with a delicate sliver of tongue. Though she bemoans the fact that she didn’t inherit the long, tapering fingers of her mother’s side of the family, she did get the broad, expansive hands of her father, which give her reach pianoforte perfection and, perhaps, great grip on a ball. How could Brooklyn not forgive her recent defection to Harlem? She still shows the BK mad love. She’s a loyalist to its small businesses as evidenced by her TROVE. 1. Freebird Books and Goods. “Freebird brought me back to reading. Something that I had seriously stopped doing if it wasn’t related to grad school. It became my home away from home for a while and I miss it still even though I still attend monthly Post-Apocalyptic book club meetings there.” Her favorite store purchase is a “huge coffee table book called the NYC Museum of Complaint,” filled with the various grievance letters written to city mayors over the years. “It is a wonderful catalogue of the people and personalities and neuroses that make this city what it is.” A young patron of Freebird Books and Goods. 8. Football. Before there was piano, there was football. “My dad taught me to hate the Cowboys’ silver and blue and love DC’s (she refrains from using the politically incorrect team title) burgundy and gold by the time I was three years old.” At her very first game she “saw the Eagles get shut out 20 – zip…I wanted to be the first woman to play in the NFL.” Fanaticism set early on, a fortuitous friendship with the daughter of team physician, Doc Collins, would fuel the love. Through the Collins’ she attended “a ton of great games at the old RFK stadium: playoffs against Dallas, the Giants, Atlanta.” During the down years, she “settled for the fact that being a football fan hurt sometimes. I always thought firing [Coach Marty] Schottenheimer was a big mistake — but you know how fans are, tons of opinions — which is why we play Fantasy Football.” note: our initial sit-down for this post was pre-empted by the FF draft. 9. ”Teenie” Harris Photographs. “Years ago I had the opportunity to buy a couple of prints by Charles ‘Teenie’ Harris, aka ‘One Shot’ Harris. This incredible African-American photographer never thought of himself as a serious artist but his unending rolls of beautifully shot film chronicled black American life in Pittsburgh. After finally investing in framing his work and hanging them in my new apartment, I am blown away by them every morning when I walk into my living room.” The Carnegie Museum of Art purchased the archive of 80,000 negatives of the late photographer’s work in 2001. Click the link to learn more about the artist and Documenting Our Past: The Teenie Harris Archive Project.